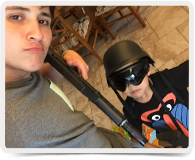 The term “Au Pair” comes from the French "on a par" or "equal to", indicating that the relationship is one of equals. An Au Pair in China will be able to experience China to the fullest by living with a Chinese Host Family (or a foreign family that lives in China). An Au Pair will provide educational assistance such as language tutoring, childcare, and carry out some light household duties. During this experience, Au Pairs will also have the chance to explore the unique aspects of Chinese culture by attending Mandarin classes, culture courses, Au Pair Club activities, and much more. 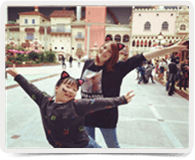 LoPair always assist au pairs during the application process for the most suitable type of visitor visas at overseas Chinese Embassies or Consulates. LoPair always issue round way tickets or make flight compensation to all APC participants . Au Pairs perform no more than 30 hours per week and receive 1500 Rmb monthly pocket money. Major duty areas within the host family usually include taking care of the children, helping them with English learning and other educational activities and assisting the family with light household chores. Au Pairs should work no more than 7 hours a day, enjoy at least 1.5 days off per week, 2 days off per month and 3 paid days off as vacation per 3 months. LoPair local coordinators organise hang-outs for au pairs and host family clubs on a irregular basis. Au Pairs receive a 3-day Arrival Orientation Training Camp (AOTC) held at LoPair Corporate Office in Hangzhou, 60 mandarin classes per 3 months (45 minutes per class), 1 Chinese Cultural Course per month. 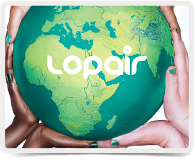 LoPair provides au pairs post programs by cooperating with education institutions and enterprises. Au Pairs who successfully complete the program receive completion certificates. For 6 month and longer program completions, au pairs receive a completion bonus starting at 1000 RMB. Do I meet the program requirements?